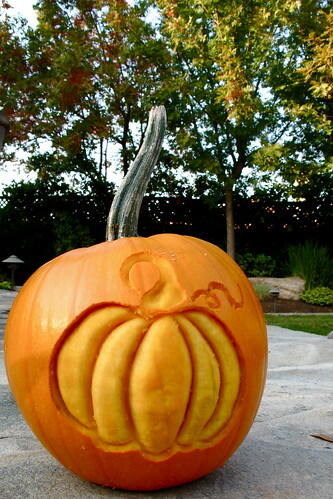 What is the best thing to carve on a pumpkin? 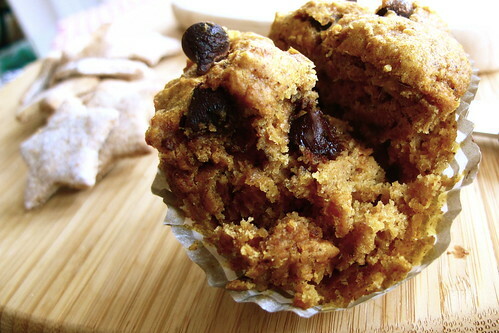 These muffins not only tasted like fall, but also filled the entire house with a lovely, warm, spiced aroma as they baked. I was very pleased with the results. They came out incredibly moist--probably as a result of the substitution of applesauce AND yogurt for oil--and they only got better the next day! I had to restrain myself from grabbing one muffin after another. They're so tasty and perfect for fall! Christina those muffins look like perfection. And I love your pumpkin! Mmmm! 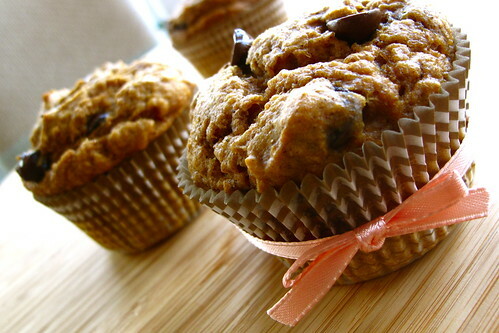 The muffins look delicious! thanks! i wish i could jump in the kitchen right now and make more! I love the smell of pumpkins cooking! Thank you for the recipe. I bet it smells just like fall!